Orange Mud’s mantra is “Innovation from Frustration”. Josh, CEO of Orange Mud and chief mastermind behind their products, gets inspired to create whenever he sees athletes struggle to use the very gear that is supposed to aid them in their endeavors. He took this to heart with the first HydraQuiver hydration pack and every product that they have introduced since. Frustrated with the lack of durability, form, and function of most of the duffel-style bags on the market, he wanted to introduce one that was designed by athletes, for athletes. 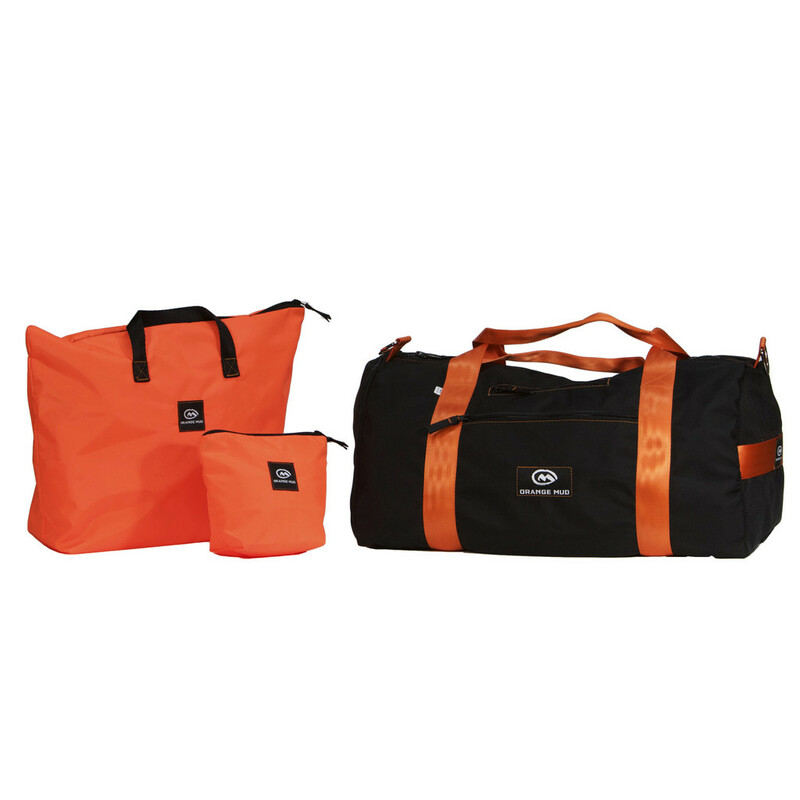 The new Orange Mud Modular Duffel/Gym bag is the result. Let’s take a look at it. DISCLAIMER: At the time of this review, I am a member of the Orange Mud Ambassador team. LOTS of storage space for your larger items in the main compartment of the bag. 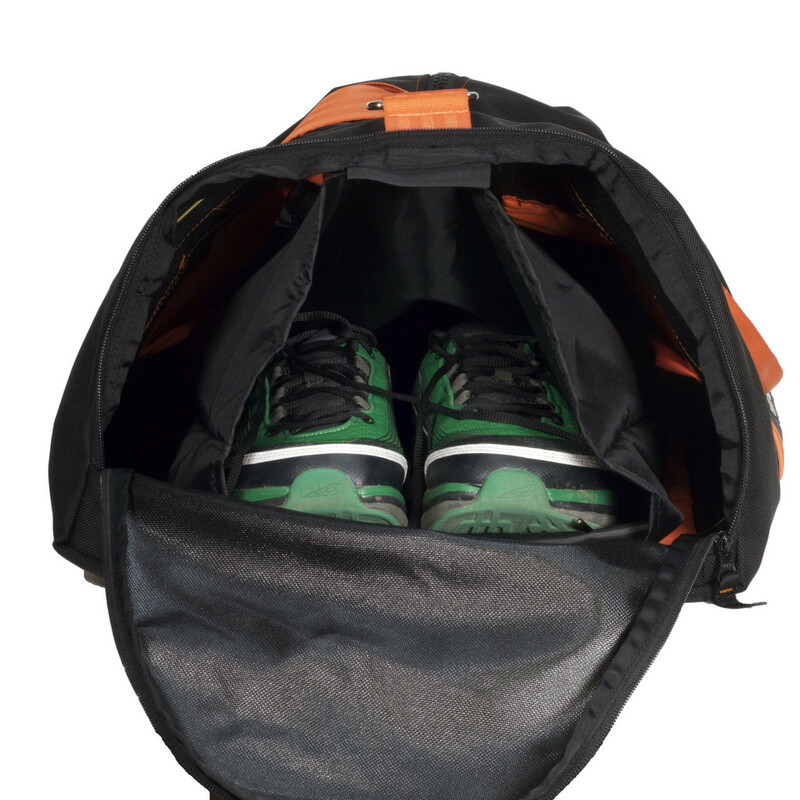 A side-accessible, detachable shoe bag that keeps your dirty shoes away from the rest of your gear. The bag itself can also be taken out for quick cleaning. Two detachable modular bags inside of the larger compartment to help keep your stuff organized. If you like to change clothes after a long run, the larger bag is ideal for keeping your dirty, sweaty clothes separated from the rest of your gear. This bag also has a handle on it, making it easy to carry on its own. It can also be used as a drop bag too. The smaller bag is ideal for keeping your smaller items in one place. Because it resides inside the bag, it is perfect for some of your more valuable items, such as your wallet, phone, keys, headlamp, etc. Four external zip pouches that allow for additional storage and quick, easy access for all of your essential items. I use these pouches for nutrition, toiletries, spare socks, gloves, hats, etc. 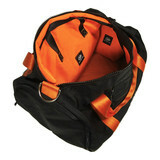 Durable construction and materials using military-grade canvas for the bag and seatbelt material for the straps/handles. For the Mountain and Ultra trail runner (which is the perspective I do most of my reviews from), this bag is awesome. It makes a PERFECT trunk bag (the one you keep in your car at all times and use to organize your stuff), a crew/drop bag on race day, or everyday gym bag. 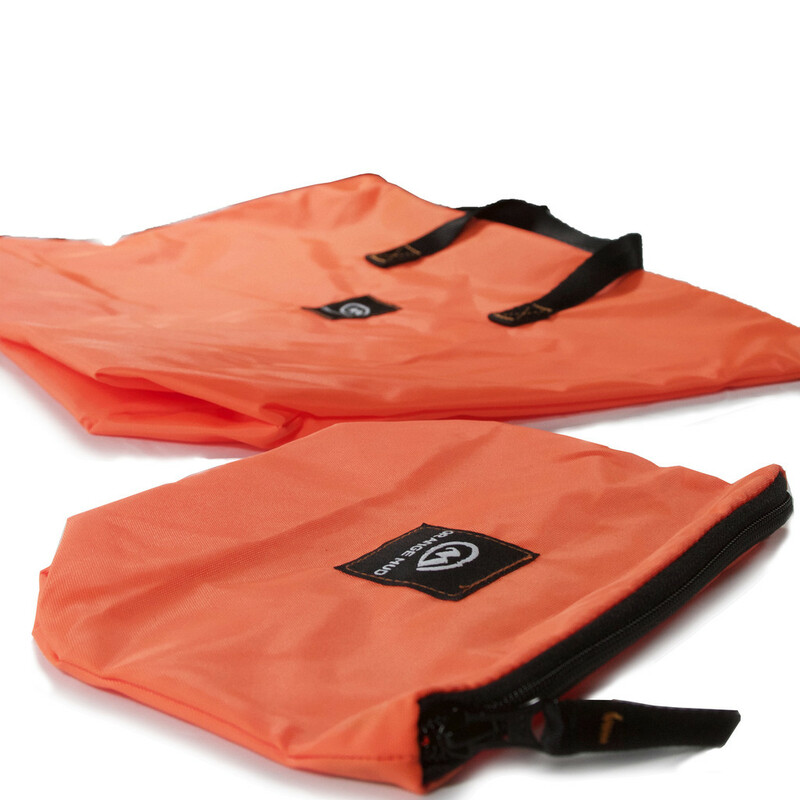 This is also durable enough to use as a travel bag too. While the price may seem a little steep, I always believe that you get what you pay for. What you are getting with this bag is a rough and tough duffel that will last, the flexibility of a truly modular design, and less frustration in those times when you need to find that ONE important thing. If you are in the market for a bag, this is definitely the one you need! If you are interested in checking this or any other Orange Mud products #out, swing on over to their site by clicking this link. You can use the code THEMANJOE to get 10% off of your order. This entry was posted in Uncategorized and tagged Accessories, Bag, cross training, Duffel, exercise, Orange Mud, running, trail running, training, ultra running, UltrarunnerJoe by Ultrarunner Joe. Bookmark the permalink.